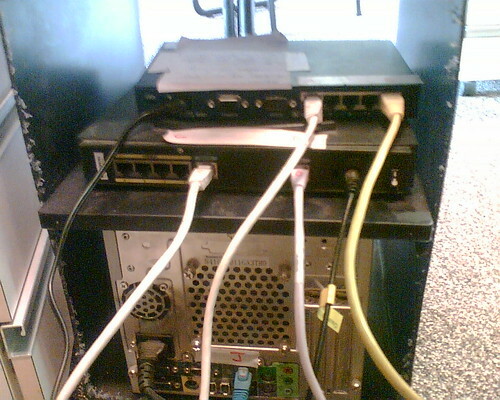 Windows Firewall is not only important for Internet security but also for computer maintenance. Microsoft Windows Firewall works like any traditional digital firewall. Firewalls are a piece of software that manages what programs are allowed to connect with the Internet and which programs are not. Windows Firewall is a piece of software built into Microsoft Windows operating systems but often is not properly used by Windows users. Many Windows operating system users disable Windows Firewall which can leave their computers open to hacker intrusion or abuse by malicious software. Every time a program such as an email client like Microsoft Outlook or an Internet browser like Internet Explorer or Mozilla Firefox attempts to connect to the Internet, a digital port is created that facilitates the transfer of information between the Internet and the program sending or receiving information. Each program creates its own port and these ports can be monitored by Windows Firewall allowing you to accept or deny port connections. Malicious software like spyware, viruses or trojans use the same method to connect to the Internet. This basic connection makes Windows Firewall an effective tool in ensuring only trusted programs have access to the Internet. Windows Firewall, regular computer maintenance and updates are important but can be a tedious and time consuming process. Not only must Microsoft Windows Firewall be active, but it must also be up to date. This is where computer maintenance comes into the picture as Windows Update provides crucial software updates and patches to security holes. Hackers constantly find new ways to exploit security flaws in Windows, but with regular computer maintenance either manually or through automated computer maintenance software, your computer will remain protected with Windows Firewall staying up to date.